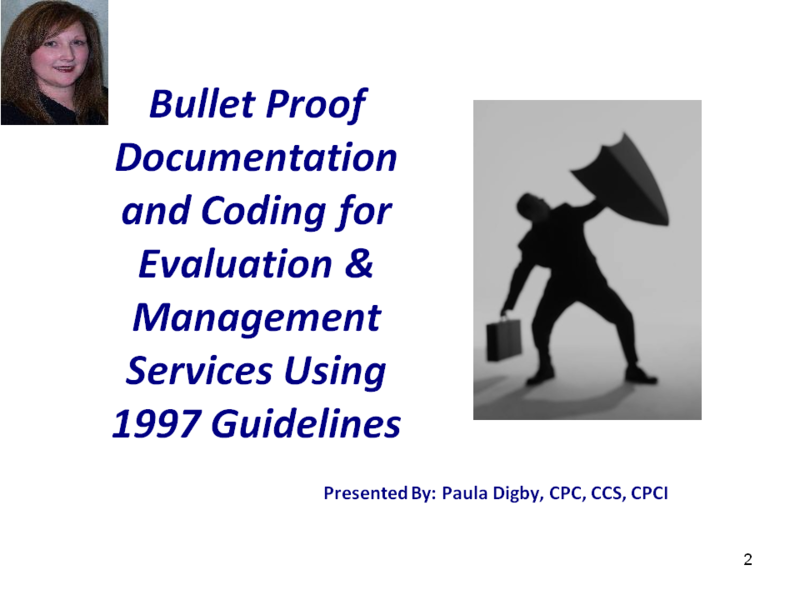 In this course, the student will learn to appropriately utilize the 1997 Evaluation & Management guidelines to create accurate specific documentation to support the services provided. Recognize established rules for medical necessity and documentation. Determine appropriate E/M level of service choices.